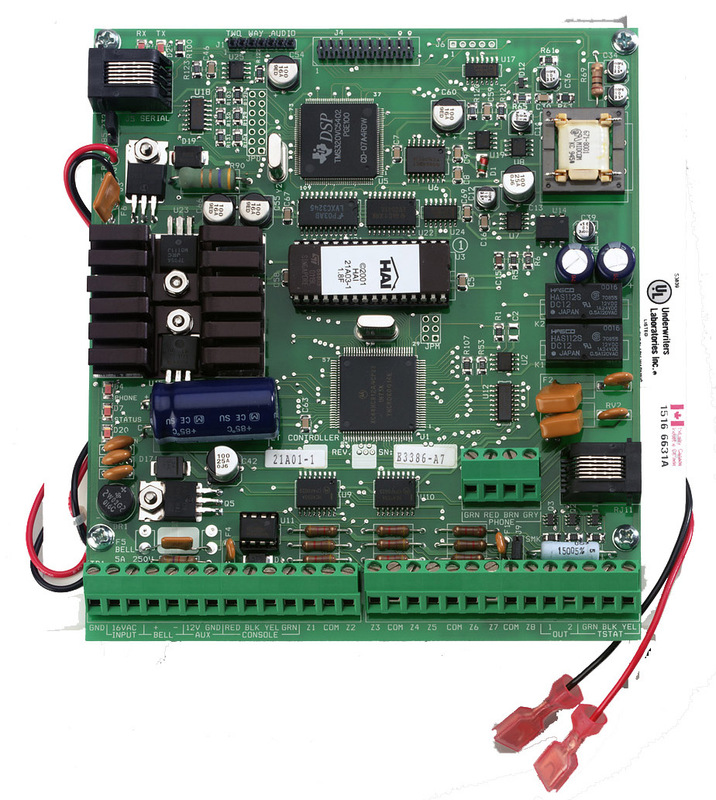 The Omni LT is the heart of your automated home, and it can coordinate all of the systems in your home to talk to each other. The system provides enhanced comfort, safety, convenience and energy savings by coordinating lighting, heating and air, security, scenes and messaging based on activity and schedules. 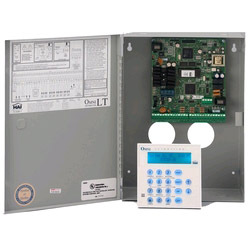 Omni LT is the entry level member of HAI's Omni Home Control System product line. It is an economical choice for homes, townhouses, condos, apartments, and small businesses. Omni LT comes with several standard modes, such as Day, Night, Away and Vacation, and can accept customized scenes such as "Good night", "Good morning" or "Entertainment" that set temperatures, lights, audio, and security to the desired levels with one touch. Security settings, temperature sensors, and motion sensors may be used to adjust lights, appliances and thermostats, monitor activity and track events. The home can be controlled and programmed by the dealer or the homeowner, on-site or from a remote location. Easy to read LCD consoles show status and allow control and scheduling of lighting, security, temperatures and accessories. OmniLT has a built-in serial interface for connection to the Internet via the optional Web-Link II Web interface, personal computers and options like touchscreens, voice recognition and home theater controls. OmniLT features telephone accessibility from within the home or a remote location with clear voice menus for convenience and simplicity. The built-in digital communicator reports alarm events to a central station and can dial up to eight additional phone numbers chosen by the home owner for voice notification. The OmniLT is the newest and most economical member of the popular Omni product line. 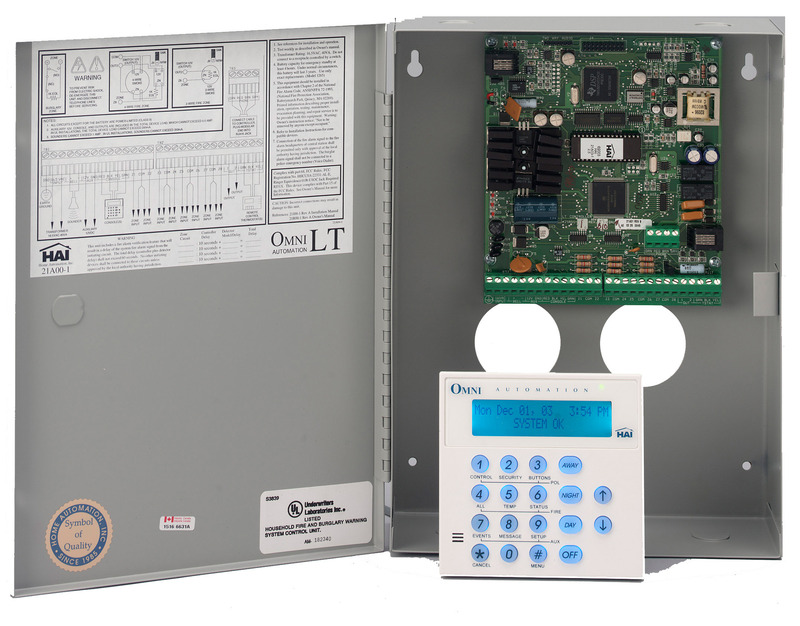 It supports numerous Omni family accessories, ncluding a complete line of fully communicating thermostats. 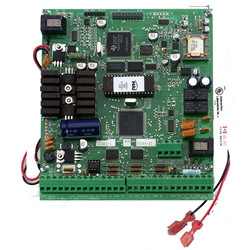 Connect the HAI 64-Zone Wireless Receiver to your OmniLT panel, and you'll be able to use wireless transmitters to control or trigger your automation and security system. The receiver and all wireless accessories are sold separately.